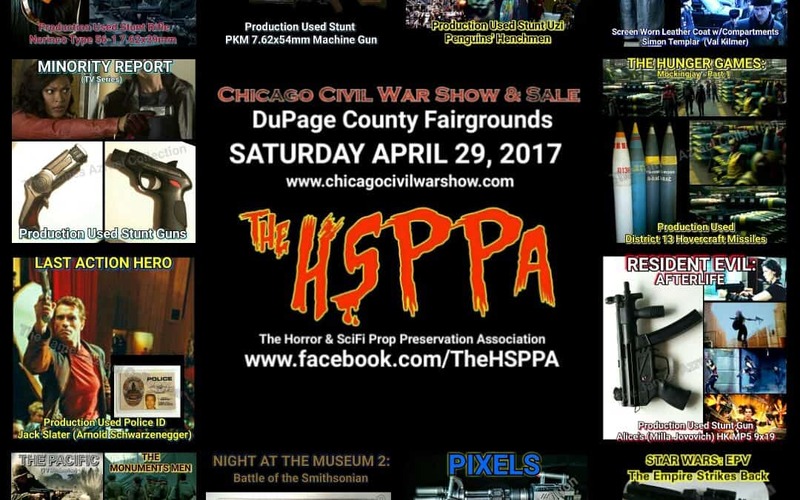 The Collectors Arms Dealers Association and The Chicago Civil War Show welcomes “The Horror & SciFi Prop Preservation Association” on April 29th at the DuPage County Fairgrounds, Wheaton, IL. Check out some of the movie prop guns The HSPPA will be bringing to the show! More info to come! The HSPPA brings iconic screenused props to public settings for fans to see up close in an effort to preserve film history for generations to come.